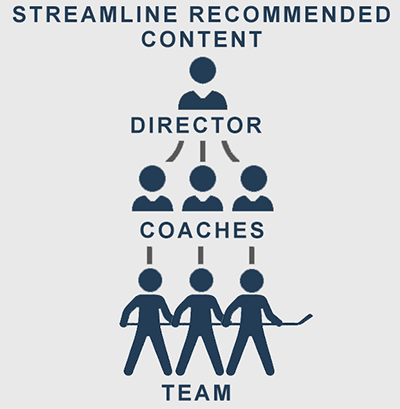 Membership Options for Organizations | Ice Hockey Systems Inc.
Give your coaches the resources they deserve to create efficient and cutting edge practices that will develop hockey players on and off the ice. Full access to IHS software for every coach in your organization. Ability for directors to recommend drills & practices based on age levels. Ability for coaches to share practices, drills & systems with their team. Access anywhere! IHS is accessible on desktop, tablet & mobile devices. Multiple directors and unlimited coaches. "I can't tell you how helpful the website was in developing practice plans, learning systems, and increasing our practice efficiency. My guys appreciated seeing the practice plan and the drill animations prior to practice which, in turn, limited the amount of 'wasted time' needed to teach a new drill."